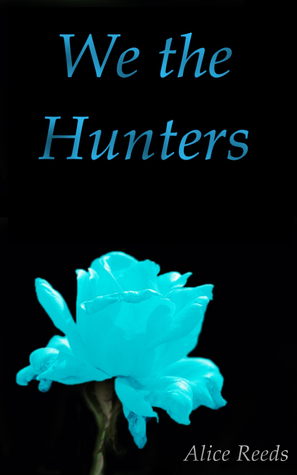 After my first review, the review of (Hunting Freedom Trilogy) Book 1 "Into the Unknown", I can finally publish a review of the Trilogy Book 2: "We the Hunters" by Alice Reeds. I want to give this book 5 full stars just like the first, don't ask me why. If I could give it more stars, I would do it as this book is really amazing.I like the story. When I finished reading the first book, several questions were left unanswered. In the second book, the story is finally unraveling, and that's a relief.Once again, Alice has showed a rich and amazing imagination, and the overall story feels very solid (despite she stated that there's still a lot of work to be done).But let's get back to the story itself.Where to start, where to start? I really liked how in both Book 1 and Book 2 we have these 2 or 3 chapters which show us a particular event in Bexx past in the Army, because it clearly explaines why she turned out the way she did.The character development on Bexx's side is really good and very interesting, especially if you compare the Bexx we met in the beginning of Book 1 and the Bexx at the end of Book 2: she changed so much over the course of Into the Unknown and We the Hunters. But what about her friend Shannon? Well, he surely is an interesting character. It was also interesting to read more about him to know more of his past and who he used to be before becoming the rebels leader.The events that take place over the course of We the Hunters are interesting and full of surprises. What about the last chapter? It was something highly explosive! (But I won't tell you anything, as I don't want to ruin the surprise) Even though it left me like: "Wait, what? WHAT? No, wait! It can't end here! I need to know more!" It reveals so much and answers so many questions yet at the same time it leaves a huge gaping hole with new (and quite bigger) questions.The writing style used by Alice is definitely made in an interesting and gripping way. Over the course of the book I was super curious of what would have happened next. I appreciated the way Alice "built the world" around the characters, together with the details on the city and the history that we got, especially the fact that she tried to connect the fictional history of the Collapse to our real history throughout the past century. A brilliant idea.I'll be honest: I had an amazing time reading it and I can't wait for the big final to be out together with solid explanations to the ending because...I must know! I need to know!I can surely end stating that this has been a brilliant sequel, I loved it! THAT WAS AMAZING!Where to start, where to start. I really like how in each book we have these two or three chapters which are like showing us a particular event in Bexx past, because it just so well explaines why she turned out the way she did. Like seriously so good. The character development on Bexx side is really good and super interesting, especially if you compare the Bexx from the beginning of book one and Bexx at the end of We the Hunters, she just really changed so much over the course of these two books. And Shannon, well he is great and understanding and just a all round great character. I loved to read more about him and his past and those small glimpses we got at who he used to be before he became a rebel.The events that take place over the course of We the Hunters are interesting and really surprising in a lot of places. Like the last chapter? KILLER GOOD, even though it left me like "what? WHAT? Wait? It can't end here! I want more and what!?" Because the last chapter reveals so much and answers so many questions yet at the same time it leave a gaping hole with a question which will leave you confused and seriously it's so good!The writing style of the author has definitely improved and it is really written in a interesting and gripping way. Even at points where the story was a little slower I was still super curious of what will happen next and just curios in general. I really liked the world building in this one and the details on the city and history that we got, especially the fact that the author tried to connect the fictional history of the Collapse to our real history throughout the past century. Crazy good.I devoured this book in no time, I had an amazing time reading it and I cannot wait for the big finally and a solid explanation to the ending because wow. Just wow. Brilliant sequel, loved it!! I like the story. After the first book, I was really disappointed: the questions kept piling up and there were no answers given. In the second book, the story is finally unraveling, and that's a relief. That said, the writing still needs a lot of work done. It feels like it is not written by an native English speaker, not only because of the missing words, weird word choices and spelling mistakes, but also the writing itself. Still too much focus on the 'I' ('I see', 'I feel', 'I think'), for instance. Reflexive verbs that are not reflexive in English. And she uses too much words to describe something, and the writing is often sloppy.I think Alice is really on to something. She has a rich imagination, and the overall story feels more or less solid, although there is still a lot of work to be done. But keep writing, Alice, you'll grow into it. So good. Just seriously so good. Read it guys, read it, it's totally worth it, even though that ending, like that ending tho!? Alice Reeds - Alice Reeds was born in a small town in Germany but spent her first eight years in Florida, USA. Later on, she moved back to Europe, where her family moved around a lot. She was raised trilingual and has a basic understanding of Russian, read and spoken. After getting her International Baccalaureate Diploma, Alice is studying English Language and Literature at University. In her free time Alice mostly writes, reads, figure and/or roller skates, or watches countless let's plays and figure skating videos.